Thanksgiving is right around the corner! Here's the lowdown on when you can get your sweat in during the holidays. 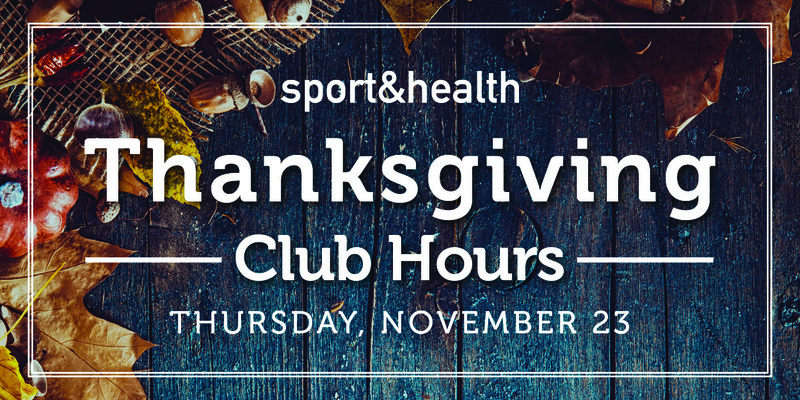 All Sport&Health locations will be open on Thanksgiving, Thursday, November 23rd from 7:00AM - 2:00PM. Kids Club will be open for morning hours ONLY. *Please find adjusted class schedules for all club locations here. We're wishing you a safe and happy #TurkeyDay with your loved ones. Here's to being thankful for health and happiness this season!